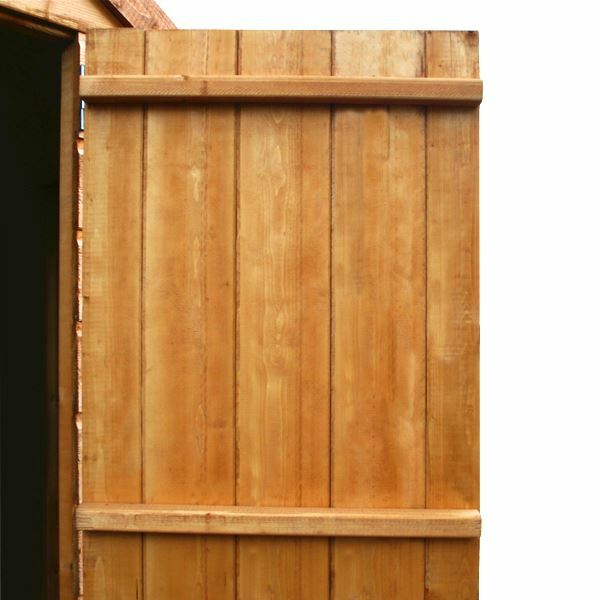 This 7ft x 5ft Waltons Windowless Overlap Apex Wooden Garden Shed is perfect for securely storing a variety of general garden items. This shed represents great value for money, without compromising on the quality. 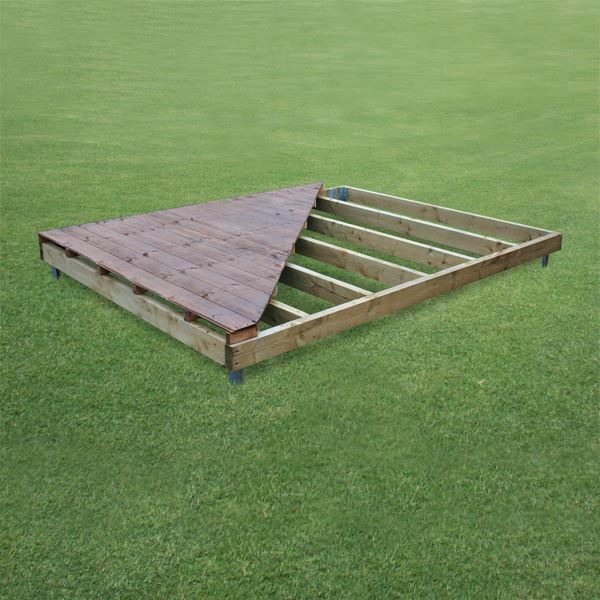 The 28mm x 28mm wooden frame creates a solid structure that is long lasting. 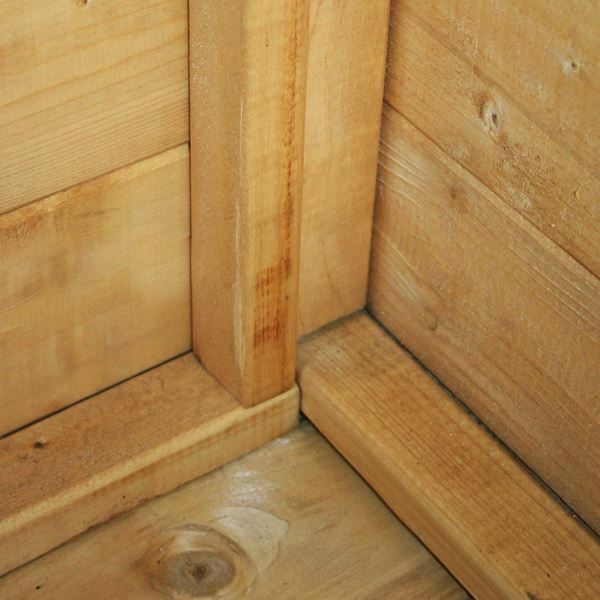 The 8mm overlap cladding combines perfectly with the wooden frame to create a quality garden shed that is robust. For additional protection and stability, the apex roof has been made from 8mm solid sheet material. The roof comes supplied with sand felt which helps to prevent water ingress. This shed does not feature any windows for extra security, the shed is harder to break into as a result. The single wooden door has been braced for additional support, a butterfly catch is provided to keep the door closed. 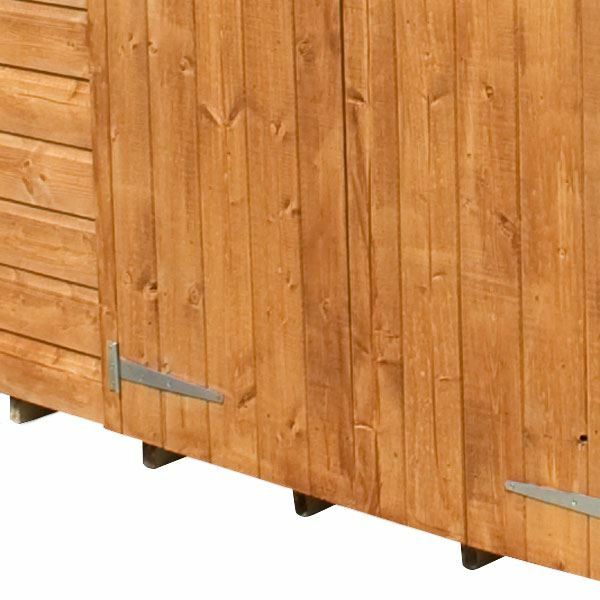 This shed is ideal for storing garden items, the windowless design will give you peace of mind against any prying eyes. 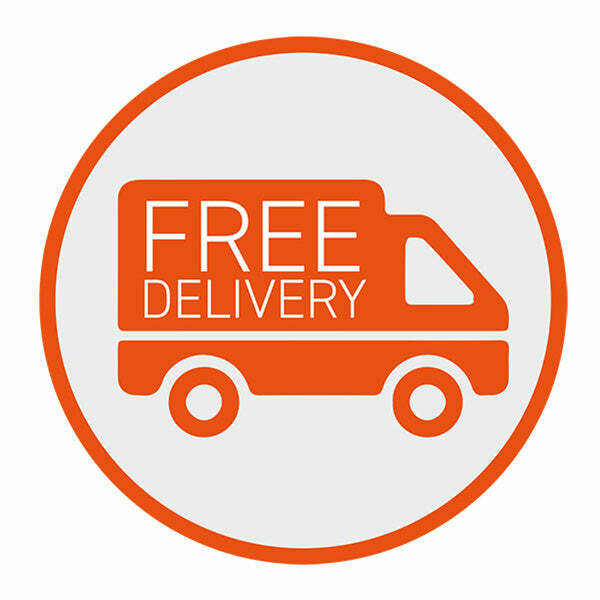 The ethically sourced FSC approved timber is dip treated to prevent against rot during transit to your chosen delivery location. Our Reply:Good afternoon, I am thrilled to know that you are so happy with all aspects of the service we have provided, as well as the quality and value for money of your shed. Thank you very much for having taken the time to offer your much appreciated feedback! Review:Very, very low quality shed. Poor build quality, paper thin wood and a base so thin I doubt it will carry any weight at all. Very disappointing. I am glad that your overlap shed met your expectations and you experienced no issues. Thank you again for your positive feedback. 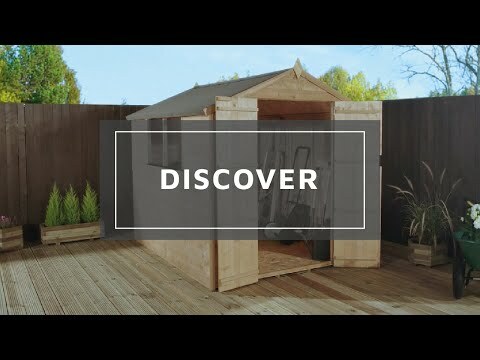 Great to know your Overlap Apex Wooden Shed was simple to assemble! We hope you enjoy using your building. Review:We were very happy with the shed and all the parts were there. Thank you. Thank you for taking the time to leave a review for us, I am also very glad that you're happy with the product itself. Review:Super value for a good quality product. It is great to know that you are pleased with the quality and value of your overlap shed and I thank you again for your feedback. Thank you so much for your brilliant feedback! Review:I suppose for the money we paid it was ok, but we had to reinforce the roof and add strips into the corners. Also we added more strips of wood to the underside of the base. But overall you get what you pay for and this was worth what we paid. Review:Could have more thought about where and how the hinges are positioned with overlap timbers. Our Reply:Thank you for your feedback and sharing your thoughts with us we will take your comments on board. Review:Because I'm over 6ft tall, I constructed a 3inch addition to the base before I put everything together - worked a treat !! Our Reply:I am glad that you are happy with your overlap shed!